MA Group is delighted to announce the launch of new customer care services for new house builders called New Homes Customer Care (NHCC). NHCC specialises in providing end-to-end customer care services to new house builders across the UK, including the use of bespoke software designed to meet the unique needs of house-builder customer care. Building on over 20 years of experience in the building repair and new home warranty sectors, NHCC will partner with new home builders and registered providers of social housing to provide a full range of customer care solutions. From the simplest home courtesy visit to the most complex new home repairs, our dedicated team of property professionals will partner with home builders to raise customer satisfaction scores whilst reducing current aftercare costs. Our specialist customer care team can co-ordinate and manage a property case from sale completion right through to the end of the warranty period. Using our in-house bespoke systems and communicating at every stage with all stakeholders, our team deliver first class after care service in partnership with house builders and registered providers alike. Our bespoke IT systems include mobile applications for consistent data capture on-site and case management software which links customer care teams, site teams and home buyers. 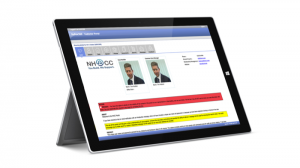 NHCC Scoper, our mobile surveying and scoping tool creates a schedule of works on site and captures photographs, videos and voice recordings to support customer care. Not only does it collect information on snagging and defects but it also records data on customer satisfaction and customer requirements to ensure that all issues are captured and communicated quickly. Scoper syncs automatically into our case management system, NHCC Reflex 360. NHCC Reflex 360 has been developed by our in-house experts in building repairs and customer services. This bespoke IT system supports the management of property cases from sale completion right through to the end of the warranty period. It has a customer and client portal enabling clear communication on the progress of cases 24 hours a day. Our qualified and experienced surveyors are trained in meeting with home buyers to manage customer expectations by providing professional and knowledgeable courtesy visits that reassure the new homeowner they are receiving high quality care. Using our NHCC Scoper mobile app, our surveying experts can prepare a home visit report detailing any feedback from the customer as well as home survey reports that provide comprehensive information on any snagging or defects issues. These reports include the provision of priced and unpriced schedules of works in line with the UK’s leading warranty providers’ requirements. The home surveys give our clients the confidence that any repairs required are proportionate and appropriate, backed up with written and photographic evidence. As part of the MA Group, NHCC has access to the experience and economies of scale of an established building repair network that oversees construction works with a total value of over £30 million per annum. Our nationwide repair network partners are TrustMark registered, have many years of experience of working in private homes and are able to effect ‘right first time’ repairs in a considerate manner. They consistently achieve World Class customer satisfaction scores. NHCC can work alongside new home builders’ existing maintenance and repair teams or can arrange for the original contractor to go back and put things right. NHCC can also select a new specialist contractor to effect a repair and can co-ordinate teams of specialists in more complex cases. NHCC has a trained team of people ready to take calls from new home owners. Our teams of experts and contractors are used to taking care of customers in their own homes with consideration and thought. We also have dedicated technical support teams for our IT systems and for complex building projects. Customer satisfaction – With satisfaction surveys from HBF and NHR becoming key benchmarks in customer approval and increasing media and government scrutiny of the new home sector there has never been a better time to gain greater customer insights. NHCC systems provide detailed customer satisfaction results and feedback. Performance reports – NHCC’s bespoke software and systems enables the collection of accurate real-time data, helping to monitor performance between sites, subsidiaries and divisions with insights into root causes of issues, component selection and the reliability and effectiveness of supply chains to support continuous improvement in service quality. Repair costs and benefits – Reports demonstrating how much defect and snagging issues cost to rectify by trade skill, region, supplier and site. Recovery reports – Detailed breakdown of rectification costs with supporting evidence to optimise recovery from, or contra charging of, third parties. Trend reports – The identification and analysis of trends in issues, defects, incidences and contractor performance to help best inform decisions on customer care improvement.